Built 1940, Southern Railway, Lancing Works. Owned by the Locomotive Owners Group (Scotland) Ltd. This 4-wheel long wheelbase van was used for carrying newspapers, parcels, sundries or letter mail. 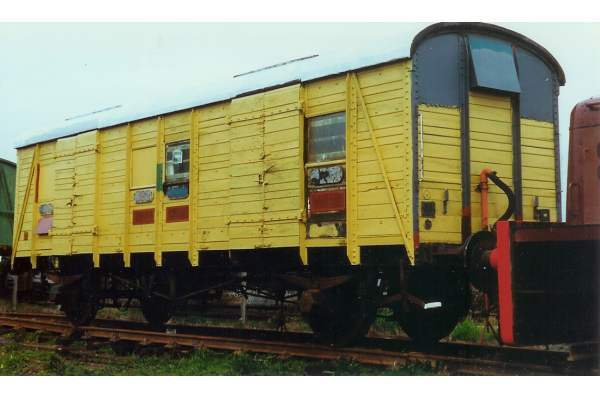 In the days of locomotive hauled trains, vans could readily be added to passenger trains if the accommodation offered in the Guard's van was inadequate. The decline of all these traffics eliminated the need for vans, and even for Guard's vans.